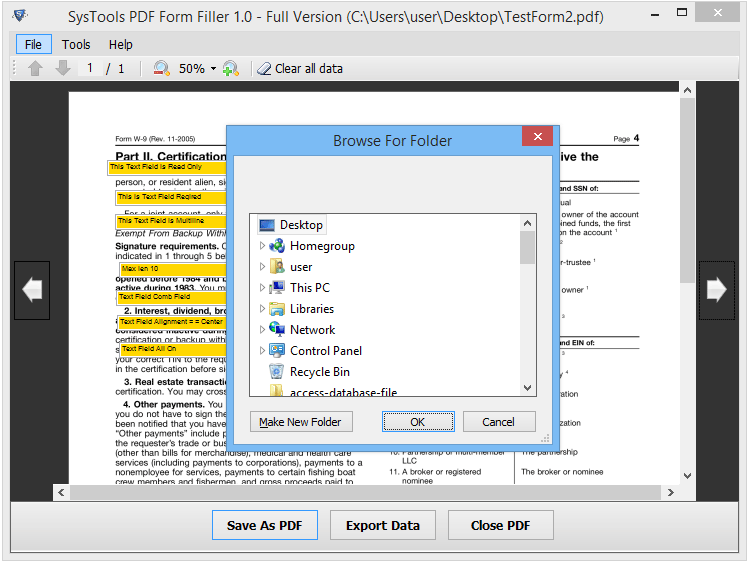 PDF File Form filler is a tool that is specially designed to open, unrestrict and fill the form in PDF format. It is the effective software that provides users an option to edit and save PDF form in PDF format. 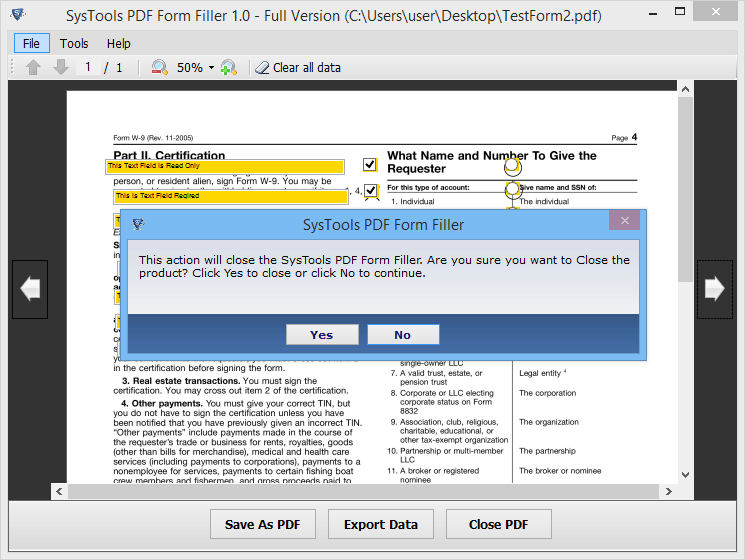 Moreover, the tool has a user-friendly interface that makes it simple for a user to open edit and fill PDF form. 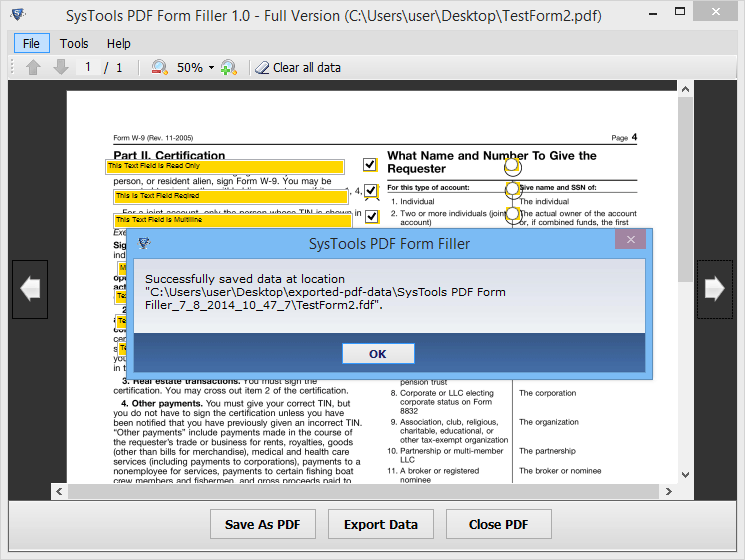 A user can easily use this best PDF File Form Filler software program to open and fill the PDF form in an effective way. If a user is having a PDF form with editing restriction, then the tool will load the form and remove editing restriction from it. After that, one can fill all the required fields in the form and save it in PDF File Format. With the help of PDF Form Editor, one can unrestrict and edit PDF Form and after that save it back into PDF file format. The final PDF file again will have all basic types of restriction such as editing, printing, saving, etc. All these restrictions make the form more safe and secure to use. After that, one can easily share that form. If a user has changed or replaced PDF form filled data with different data, then one can easily extract data from the PDF form. 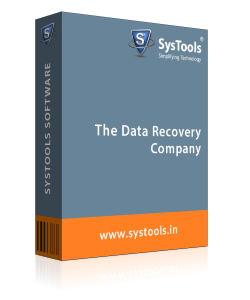 It maintains the original PDF with original data and different PDF file is created with extracted data. With this option, one can quickly meet the need of time by creating multiple representations of form in PDF format. 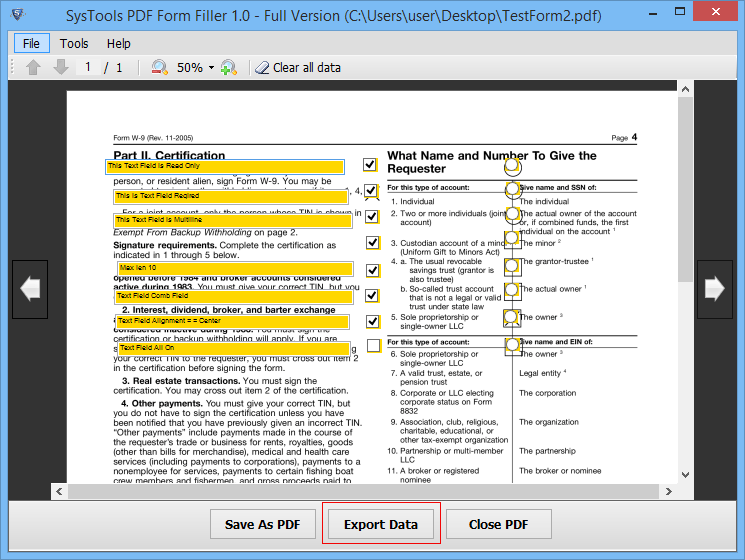 The best part of PDF file form filler is that a user can add information in restricted form using four simple steps. Moreover, the software has such impressive GUI that all options and features are integrated into a single panel. It makes it more easy for a user to edit PDF form. Apart from all this, a user needs not to be technically strong to use this tool because it automatically unrestrict PDF form.. The PDF document form filler software is designed in such a way that when a user open and edit PDF form, it offers various options to fill the PDF form. It includes options such as features to clear all data to clear fields of a PDF form in order to refill them accordingly. To have a clear visibility of the PDF form zoom in and zoom out feature is also there. 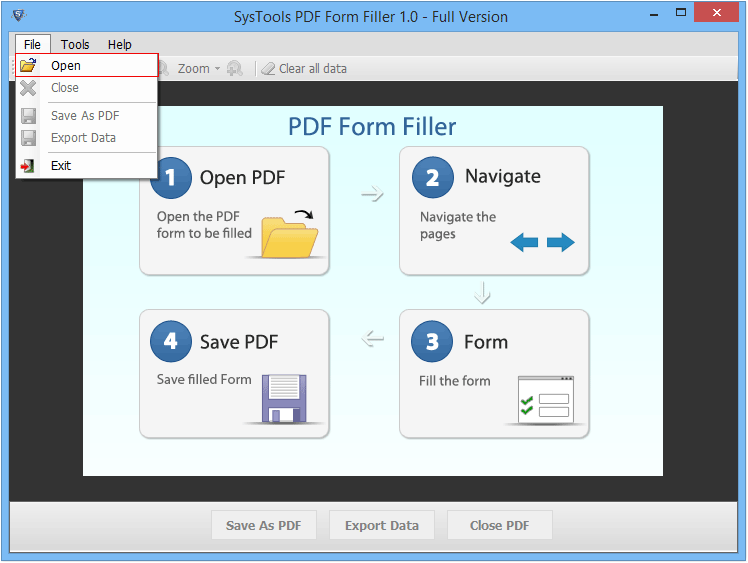 After editing the PDF form, the software allows users to save the PDF file at desired location of their choice. Apart from all this, A user can also create a new folder to save the PDF form and manage it more easily. 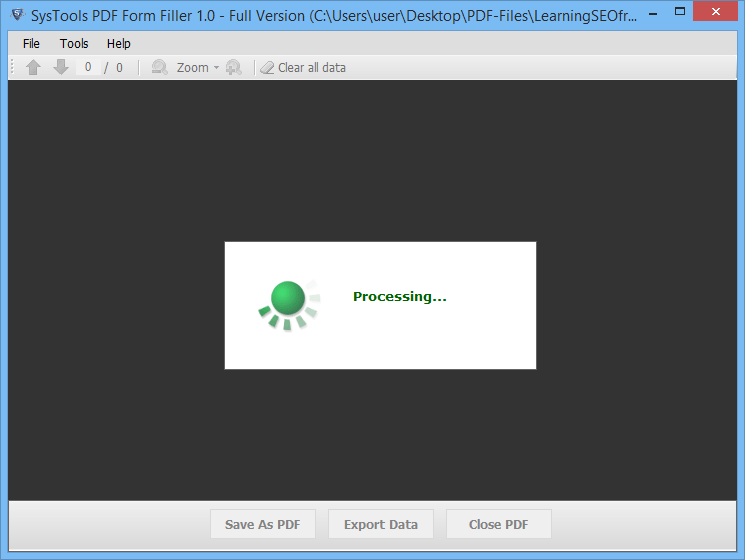 After this, the PDF document form filler will successfully save the file by generating a confirmation message. Q.1. 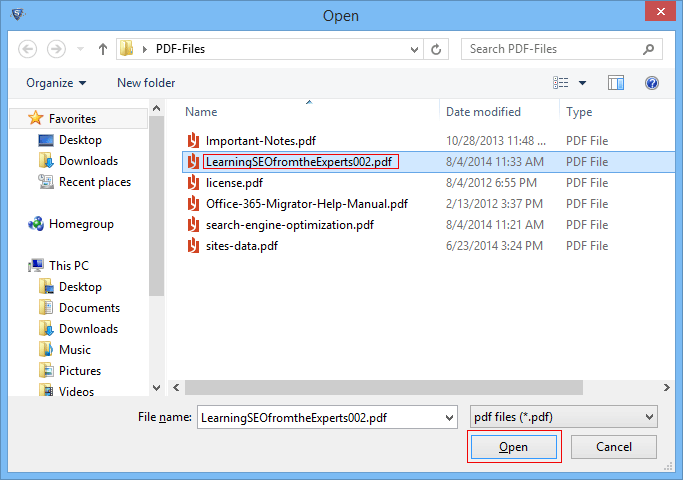 Does the PDF File Form Filler allow users to save the PDF form in a New Folder? “I just want to confirm that can I create a new folder to save filled PDF form so that it becomes easy for me to differentiate between original and fill PDF form." 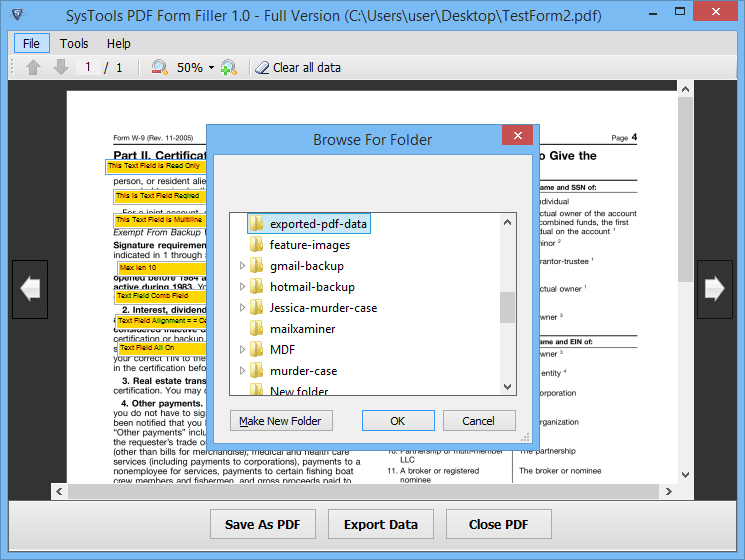 Yes, with the help of PDF Form Editor it becomes really easy for a user to create a new folder to save filled PDF form or at any desired location a user wants. Yes, if a user wants then, he can add multiple PDF files to the software at once by adding a complete folder that contains multiple PDF files in it. Yes, it is necessary to have Adobe Acrobat Reader installed on a system to use the PDF file form filler software to edit PDF Form field. Step 3 : Choose any PDF form that a user wants to fill from its saved location and click on Open option. Step 6 : Now, a user can easily edit any PDF form and go to other page easily and click on Save as PDF option to save the edited PDF form in PDF format. I always suffer when I need to fill PDF form that is editing restricted but thanks to PDF File Form Filler Tool for helping me in such a great way and solving my this form filing problem permanently. Moreover, the best part is that it provides users an easy interface that even a non-technical user like me can use it with any expert help. 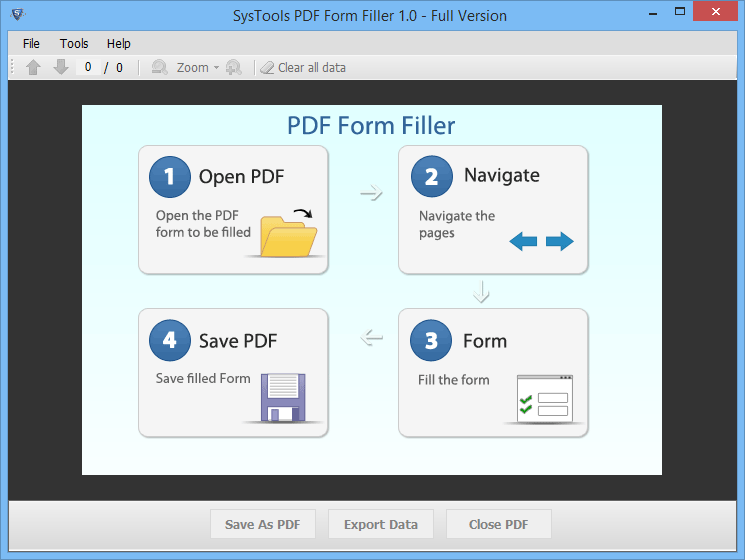 It is the best PDF Document Form Filler Software that I have tried ever. I never thought that filling editing restricted form will be a so easy process for me. Thanks to the development team of the software for developing such a great utility. I am definitely going to suggest this tool to all my friends.